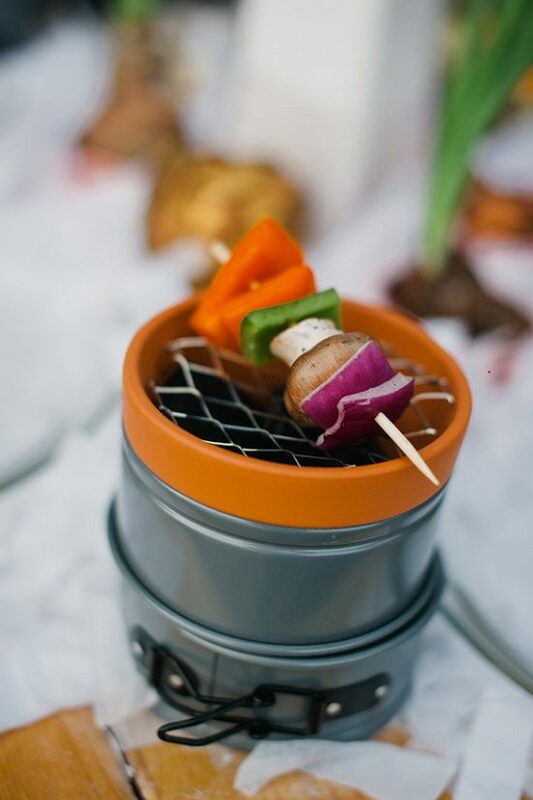 10 DIY BBQ Grill Ideas that are inexpensive and easy to follow for the summer, so that you can enjoy outdoor grilled recipes in your backyard or balcony! 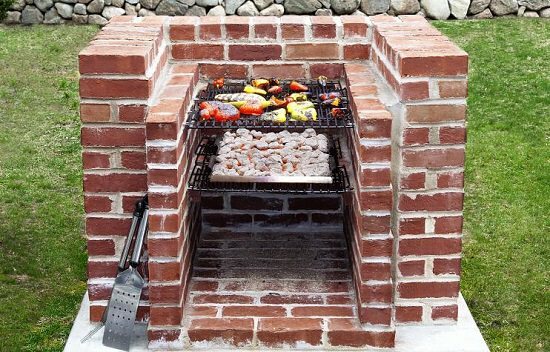 Build this simple barbecue pit; it’s a relatively easy job and likely to cost less than a fancy new gas grill. 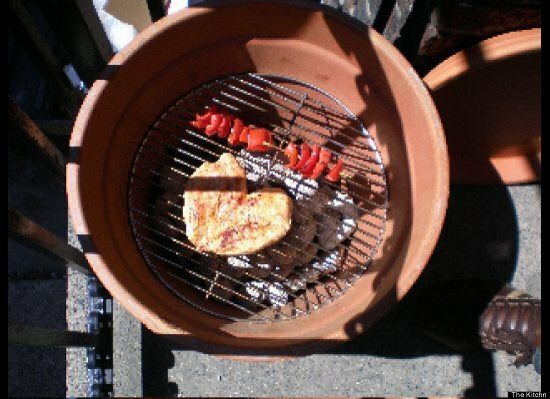 With the right tools, materials, and a little skill, you can put together a basic brick barbecue in a weekend. Visit This Old House to read the full DIY post! 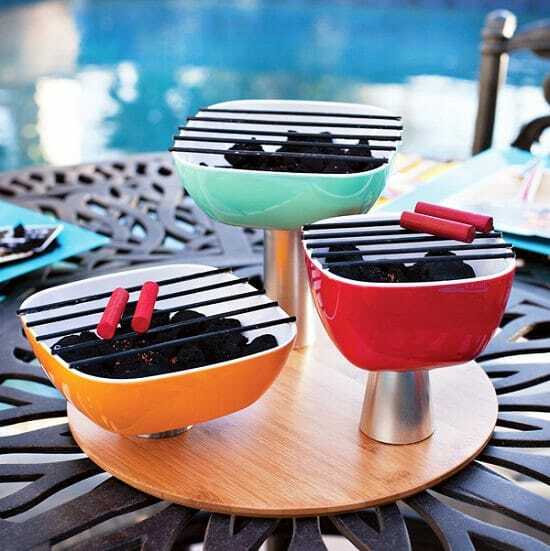 Create this Mini charcoal grill and use as a table centerpiece and enjoy your urban summer grilling party. Here’s the tutorial! 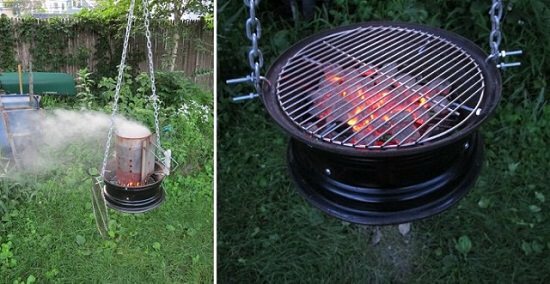 Get a new charcoal grill that you can hang in your backyard. 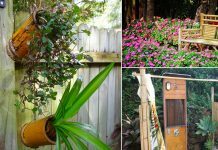 You’ll need an old car wheel and a few other accessible items to complete this project. Find the project here! 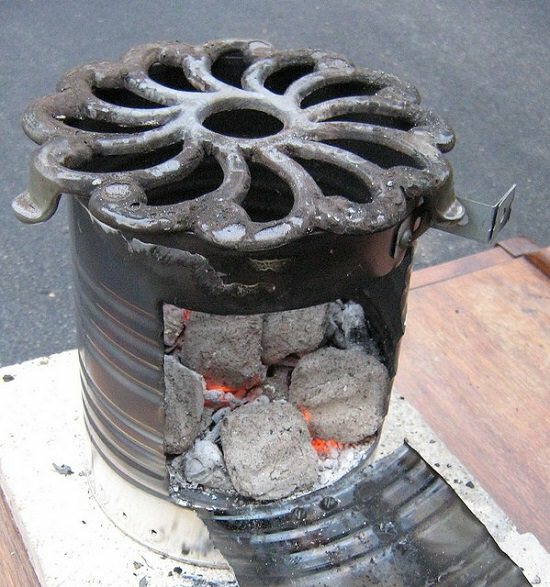 A rocket stove is a very simple furnace, which can be used for cooking and heating. 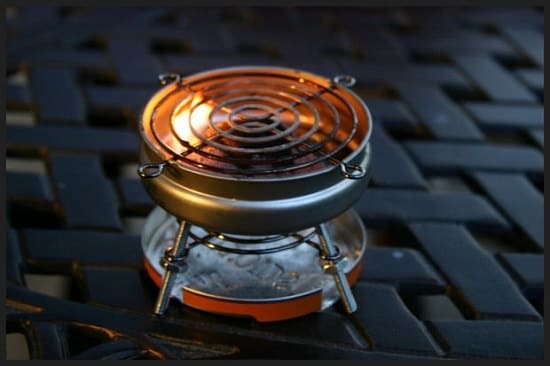 It uses less wood than traditional open fire, can burn small pieces of wood, produce less pollution and can be easily constructed from cheap materials. Here’s the DIY tutorial! 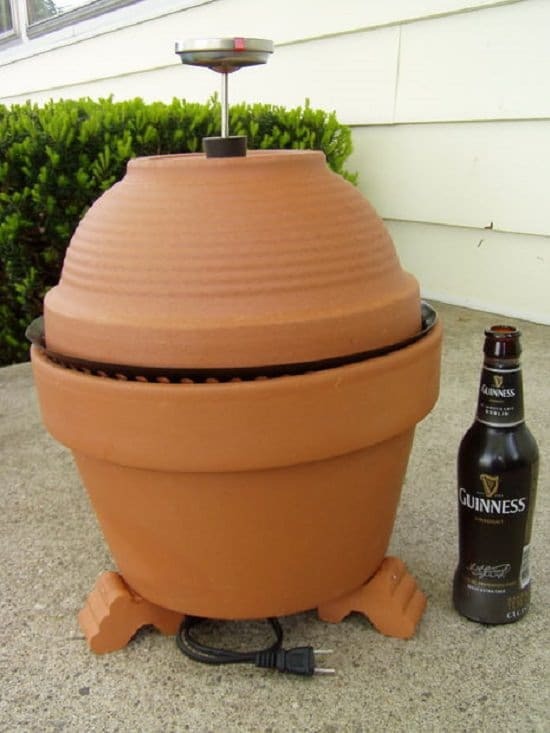 Terracotta pot and a saucer are all you need to build this small space grill. Perfect for urban homes with balconies. Check out the tutorial at The kitchn! This Altoids Grill is capable of cooking a full-size hot dog (cut down to size) or smaller hamburger patties with ease. Take a look at the Tutorial at the Instructables! Want to create a smoker at a really low price? 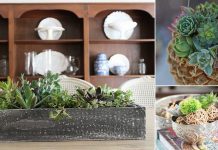 You’ll need terracotta pots and a few other supplies to get it done. Visit the Instructables to see the tutorial! 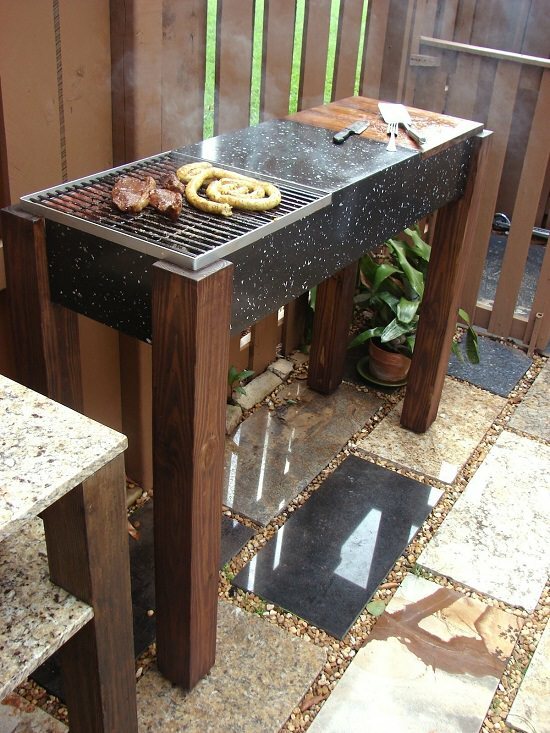 If you’re a skilled DIYer, you can create this mobile grill made of granite stones for your backyard. Check out the step by step instructions here! Have access to an unused tool box? 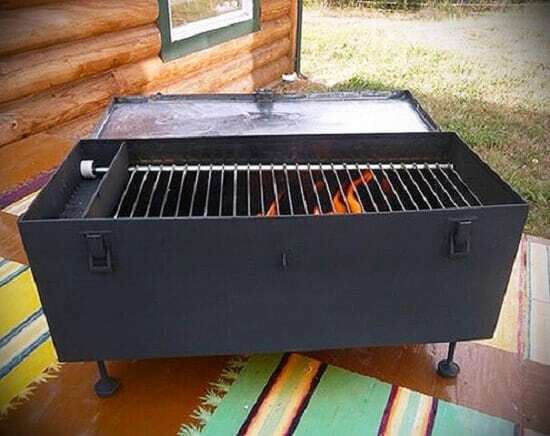 Create a portable grill out of it. This DIY project available here will not cost you more than $10. At a Subtle Revelry, you can find this delicious DIY tutorial on the tabletop grill. 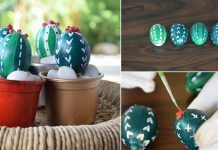 You can design it with simple materials that are readily available at craft stores.